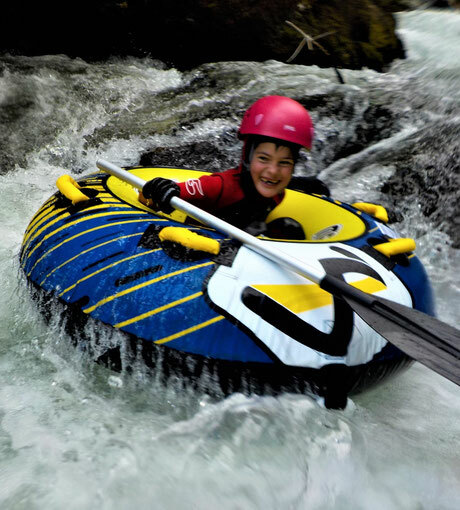 Tubing is like rafting but everybody has his own "boat". Our boat is a special durex tube on which we ride down the river. Using a paddle we can steer our tube. Enjoy the ride and choose between the two tours below. Duration: 9am to 13pm, meetingpoint: according to your accomodation. Nice tubing track even for children possible. (8years) We ride down a lovely small river, make some halts at beautiful bays. Swimming, climbing and cliffjumping can be done, or just relax in your tube. Get an overview by watching the video below. Duration: 9am to 15 pm. Meetingpoint according to your accomodation. 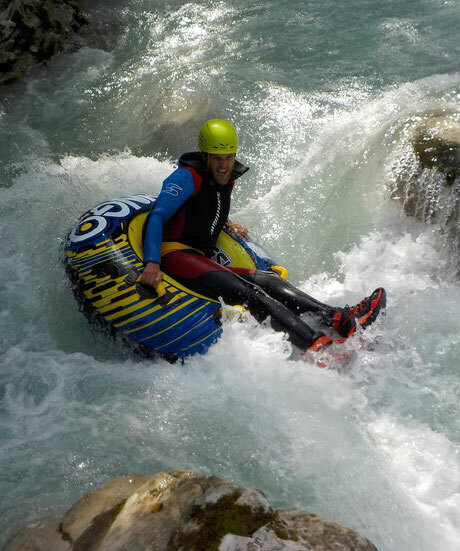 More water power and therefore more speed with the tube is characteristic for this tour. For children from the age of 12 and older.